Own a lifetime of fabulous pleasure vacations at most centrally located, Air-conditioned Hotel S.R.PALACE. 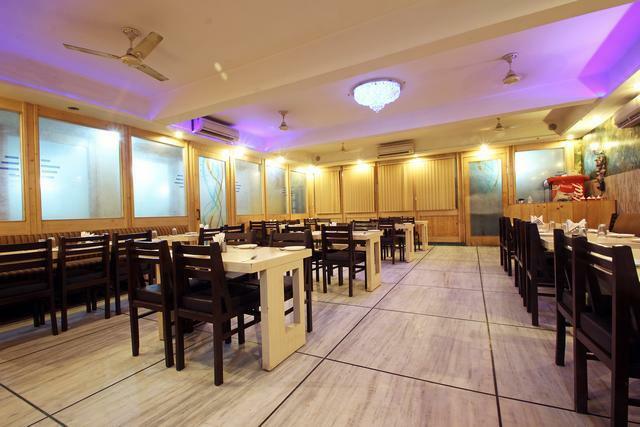 Being right in the hub of Agra, the Hotel S.R.PALACE is the Agras most preferred brand for those who desire for luxury and comfort at reasonable rates. The S.R.PALACE is the most unique brand in the hotel industry, offering you a solid commitment of quality, service and value. Hotel S.R.PALACE is a standard hotel, offering a full variety of distinct services and amenities to meet your accommodation needs as you travel on business or leisure. One of the most preferred by the tourists, the Hotel S.R.PALACE assures you of the high standards in comfort, safety and cleanliness. S.R.PALACE welcomes you to a unique world of facilities and privileges. We look forward to your comforts and conveniences. Here you are offered modern luxury and comfort, with a gentle and caring touch. This air-conditioned, spacious and carefully decorated hotel is a restful heaven for the luxury, comfort and pleasure seeking tourists. At S.R.PALACE, guest are offered with unique advantage of retaining their independence while enjoying the accommodation benefits. Room Service, Parking, Conference Hall, Laundry Facilities, Banquet Facilities, Restaurant, Doctor on Call, Backup Generator, Front Desk. Cable/Satellite TV, Television Room, Telephone, Complimentary Toiletries, Ceiling Fan, DVD Player. User reviews for "SR Palace Hotel Agra"